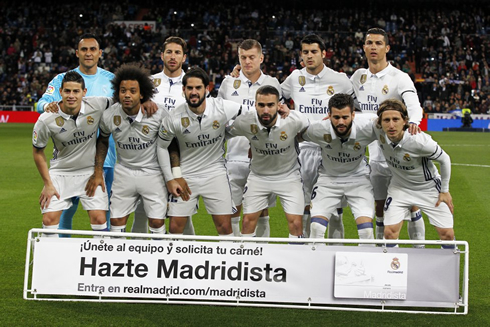 ﻿ Real Madrid 2-1 Betis. Ramos delivers the win with another header! 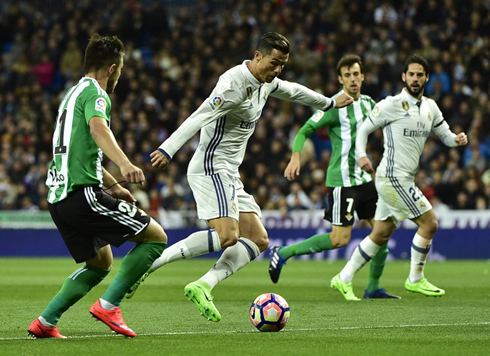 12.03.2017 » Real Madrid 2-1 Betis. Ramos delivers the win with another header! 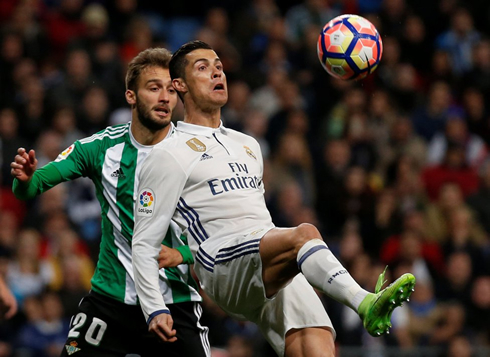 Real Madrid are back on the top of La Liga table, after beating Betis 2-1 tonight at the Santiago Bernabéu. The visitors scored first, but Cristiano Ronaldo would equalize the game shortly before the break. The winning goal was scored by Sergio Ramos, his 10th of the season! Over the course of 90 minutes, Keylor Navas went from a villain to a hero as Madrid eeked out a 2-1 victory against Real Betis. The other hero of the day was undoubtedly Sergio Ramos, who has become such a thorn in the side of Madrid's opponents. 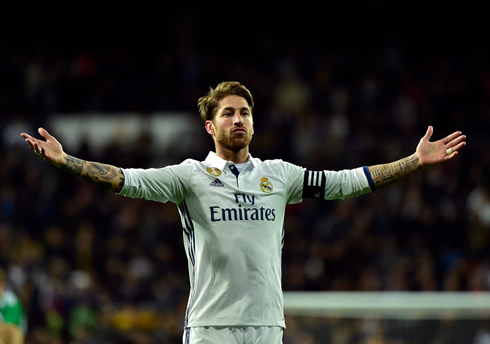 Ramos' 81st-minute header was yet again enough for Madrid to defeat their opponent. It was his 10th goal in all competitions and his 7th of the season in La Liga. Real Madrid started with intent and looked odds on to score early. With Isco and James in the starting lineup, there seemed to be a lot more creativity through the center. However, it didn't exactly turn out that way, as Madrid still found themselves relying on crosses as the game went on. There was a lot of controversy early in the first half, as Navas sprinted off his line (attempting to thwart a one-on-one) and appeared to have possibly fouled the Betis attacker. The referee decided it was just an inadvertent collision. However, Betis would get some redemption a few minutes later in the 24th, as Antonio Sanabria scored after a massive blunder by Navas. Ronaldo, who is reportedly expecting two new additions to his family, grabbed the equalizer in the 40th with a free header in the box, as Real Madrid went into the second half with a 1-1 tie. Barcelona lost surprisingly to Deportivo earlier today, so Madrid had an opportunity to go top with a victory and they pushed accordingly in the second half. The Merengues had some grievances in the second half. Ronaldo had a goal disallowed, but frustration turned to euphoria with nine minutes to go, as Sergio Ramos (yet again) saved Madrid with a fantastic header into the back of the net. Still, and it seems like we say this every game, Madrid don't look that great. They are still relying on crosses and we can't seem to be fluid through the middle. But, one way or another, they are still able to win games no matter the performances on the pitch. Real Madrid are back to the top of the table! Cristiano Ronaldo next game is a La Liga fixture, on March 18 of 2017 against Athletic Bilbao. You can watch Juventus live stream, Athletic Bilbao vs Real Madrid, Atletico Madrid vs Bayer Leverkusen, Chelsea vs Manchester United, Juventus vs FC Porto, and Lotte vs Borussia Dortmund, all matches provided from our football live game pages.